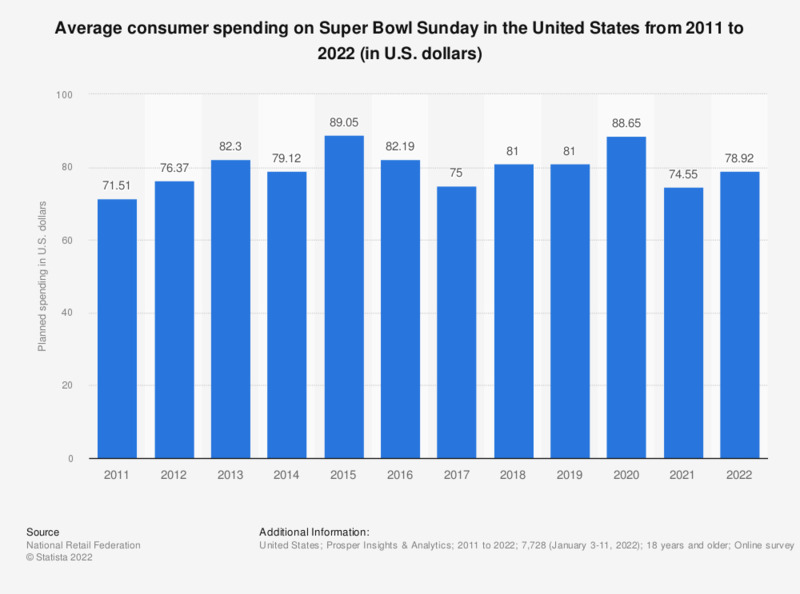 The statistic shows the (planned) average U.S. consumer expenditure on Super Bowl Sunday from 2011 to 2019. For the 2019 LIII Super Bowl, surveyed consumers plan to spend 81 U.S. dollars on average. Do you expect to spend more or less on luxury products in the next year?